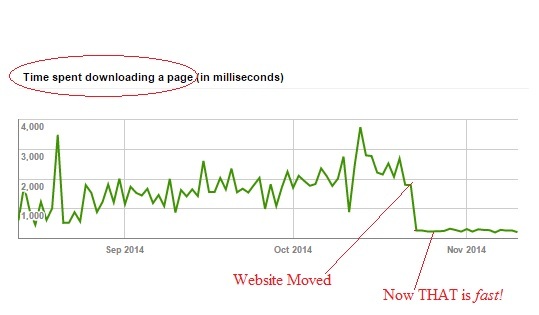 Recently our site had been growing slower and slower. We purchased our own server and launched telapost.net performance hosting. We moved Telapost.com over to the new server. There was a night and day difference and our site runs like lightning now. As you can see, Google was spending over 2,000 milliseconds (2 seconds) downloading a page. This was usually after a 2 second wait to have the page open, too. This was completely unacceptable. Now Google is able to download pages in 200 milliseconds (0.2 seconds). Much, much better. A lot of companies are advertising performance hosting. Unfortunately, they usually fail to deliver on these promises. We host some sites but we’re really not in the hosting business. This is not a pitch to buy performance hosting, but rather just a few screenshots for the curious of what a site could like in Google WMT. I have no scientific answer for this. If in WMT you see your “Time spent downloading a page (in milliseconds)” area exceeding 800ms I would start to look into improving site performance. When this time exceeds 3,000ms is when I have seen problems, although, there may be many other variables that I am not aware of. I personally like this number under 500ms. It should also be noted that a slow site leads to a poor user experience and shuns people away. If people have a poor experience they are less likely to spend additional time on your site, click through to additional pages, link to the site, and more. 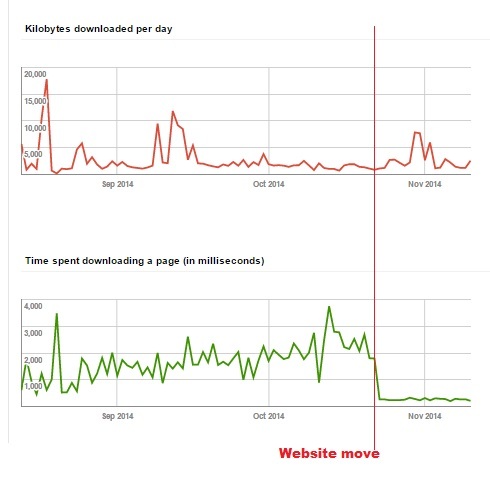 I conclude that a slow site unnecessarily negatively impacts SEO in a variety of ways.